Kevin Harvick, driver of the No. 4 Mobil 1/Busch Beer Ford Fusion for Stewart-Haas Racing (SHR), is going into the Coca-Cola 600 Monster Energy NASCAR Cup Series race this weekend looking for a performance to celebrate. Luckily, the No. 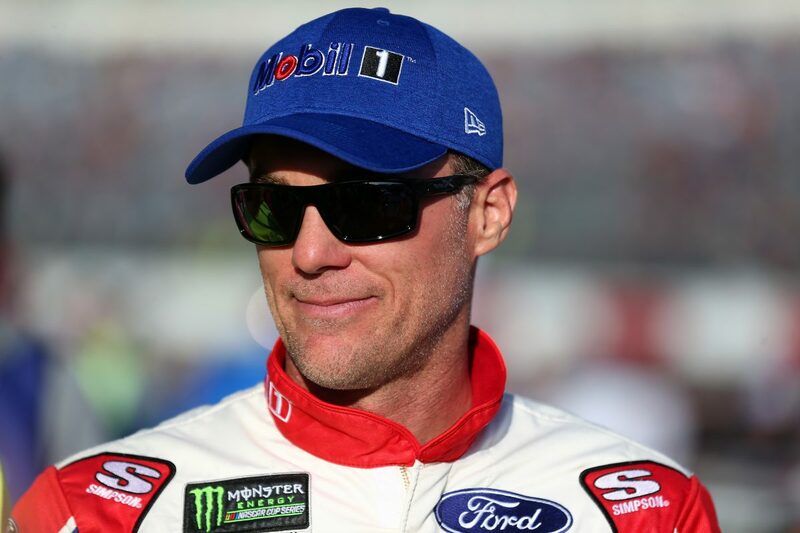 4 Ford Fusion is riding with Mobil 1 and Busch Beer, one partner with a proven track record of performance and another that knows how to celebrate success, as Harvick attempts to tackle the longest, most grueling race on the Cup Series schedule. Stewart-Haas Racing’s (SHR) technology partnership with Mobil 1 is a unique combination of experience, expertise and innovative thinking that strives to consistently deliver performance-enhancing results on the track. The partnership allows the SHR teams to head into the series’ only 600-mile event with a level of confidence that its cars will be there to compete at the end. Mobil 1 continues to perform rigorous testing with the SHR teams in the garage with its products and support to improve on-track performance, including the reduction of frictional loss in the engines to maximize fuel mileage, increase horsepower and turn more rpm. Mobil 1 works to reduce engine temperatures to increase engine efficiency. The products allow the No. 4 racecar to reduce rolling resistance, which contributes to increased acceleration on restarts on the way to reaching top speed. Harvick and the No. 4 team hope the benefits provided by Mobil 1 products and technology will help carry them to victory lane in the Sunday’s traditional Memorial Day-weekend event, during which their racecar will honor a fallen soldier on the windshield header as part of NASCAR’s “600 Miles of Remembrance” initiative. The name of Lance Cpl. Patrick Ryan Adle of the United States Marine Corps will be featured on the No. 4 Mobil 1/Busch Beer Ford Fusion this weekend. Adle, of Bel Air, Maryland, became an Engineer Equipment Operator (MOS: 1345) while in the Marine Corps. On his 2nd Tour in Iraq, while supporting Operation Iraqi Freedom, Adle was assigned to the Marine Corps Reserve’s 6th Engineer Support Battalion, 4th Force Service Support Group, Folsom, Pennsylvania, when he was killed by an improvised explosive device on June 29, 2004, while conducting combat operations near Baghdad, Iraq. He was a 2001 graduate of Fallston (Maryland) High School, where he played varsity football and lacrosse and earned varsity letters in both sports all four years. He helped the Fallston Cougars to a lacrosse state title in 2001 playing defense, and was remembered for his aggressive play and leadership. Adle joined the Marine Corps following his 18th birthday because he wanted to protect his family and country. Having Adle’s name on the car brings added pressure to perform for Harvick, but pressure and performance are nothing new to the 2014 Cup Series champion. Harvick has raced up front and has scored a Cup Series-best five wins, six stage wins and has led 820 laps this year. But he will be chasing another significant mark when the green flag drops Sunday afternoon as he attempts to become the first driver to score three consecutive points-paying wins twice in a season since Dale Earnhardt accomplished the feat in 1987. He has two Coca-Cola 600 wins in his career and would like to celebrate his third in one of NASCAR’s top races Sunday afternoon with a cold, crisp and refreshing Busch Beer in victory lane. The Coca-Cola 600 is the longest race on the Monster Energy NASCAR Cup Series schedule. How do you manage that extra 100 miles on the engine? Is the Coca-Cola 600 more physically or mentally challenging? You have an added advantage with Mobil 1 as a sponsor. It’s more than a sponsor, with its technology directly benefiting how you perform on the racetrack. How advantageous has this relationship with Mobil 1 been since you joined SHR in 2014? You’ve had quite a start to the season with five wins in 12 races. What has led to this kind of performance? What does it mean to honor and remember a military member on your No. 4 Mobil 1/Busch Beer Ford Fusion this Memorial Day weekend?